Stainless Steel Alloy 410 Bar, Stainless Steel 410 Round bars, SS DIN 1.4006 Bars, Steel 410 Flat Bar, 410 Steel Hollow Bars, ASTM A276 AISI 410 Stainless Steel Round Bars, Stainless Steel ASTM A276 410 Round Bar, ASTM A276 410 Round Bars, AISI 410 Stainless Steel Round Bar, Manufacturers, Suppliers, Exporters, Mumbai, India. Grade 410 stainless steels bar are general-purpose martensitic stainless steels containing 11.5% chromium, which provide good corrosion resistance properties. However, the corrosion resistance of grade 410 steels can be further enhanced by a series of processes such as hardening, tempering and polishing. 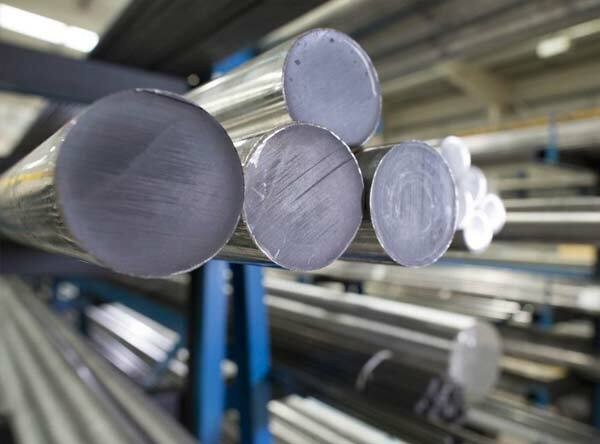 Quenching and tempering can harden grade 410 steels. They are generally used for applications involving mild corrosion, heat resistance and high strength. Alloy 410 stainless steel bar is resistant to atmospheric conditions, water and some chemicals. It can be used in environments containing weak or diluted acetic acid, naptha, nitric acid and sulfuric acid. The alloy is also resistant to acids contained in foods. 410 stainless steel can also be used in slightly chlorinated and desaereted water. It performs well in oil and gas applications where desaereted and low hydrogen sulfide exist. However, the alloy is prone to chloride attack, particularly in oxidizing conditions. Alloy 410 stainless steel bar is the general purpose 12% chromium martensitic stainless steel that can be heat treated to obtain a wide range of mechanical properties. 410 stainless steel possesses high strength and hardness coupled with good corrosion resistance. Alloy 410 stainless steel is ductile and can be formed. It is magnetic in all conditions.